Ever heard of Scrabble or Words with Friends? 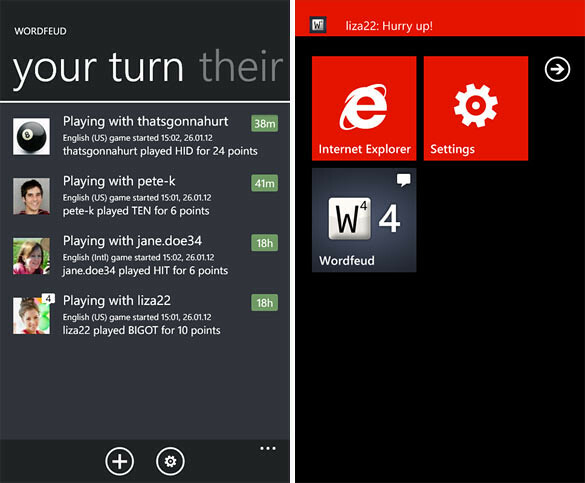 Yes, a multiplayer word puzzle game is now out on Windows Phone Marketplace, called ‘WordFeud’! 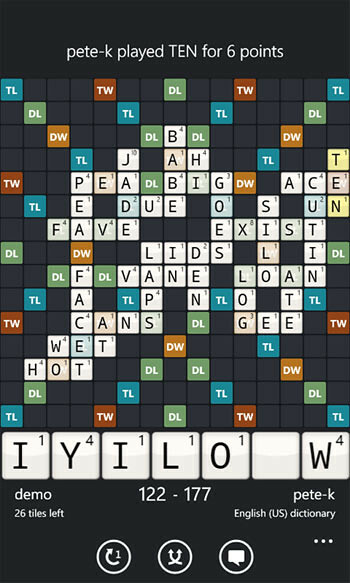 Search for friends to play against or allow Wordfeud to match you up with an opponent. Even chat with them – smack talk or praise – it’s your choice! – Play in 30 simultaneous games! Grab it now and challange your friends via 3G or Wifi!